Waipahu is a small community located on the island of Oahu. Waipahu is home to the former sugarcane plantation and present day museum, Hawaii Plantation Village. This beautiful outdoor museum showcases the lifestyles of the multi ethnic plantation workers of the mid 1800’s-1940’s featuring replica homes and models of the plantations past. Whether shopping at the infamous Waikele Premium Outlets or visiting the beautiful plantations of days past, there’s no room for tooth pain or other dental emergencies. When you need to find a dentist in Waipahu for your dental emergency, emergencydentalusa.com is here to help. We have compiled a list of local emergency dentists for your convenience. Whether you are on vacation or new to the area, there’s a dentist available to suit your individual dental needs. If you are unable to access the internet, emergencydentalusa.com is just a phone call away. When you call our toll free 24-hour dentist finder hotline, we will schedule your first appointment for you. When you visit your new dentist please remember to bring a photo ID, your insurance card, and any applicable co-payments. Please arrive 20 minutes early to fill out your new patient paperwork. When you are far from home or have relocated to a new area, you may feel it’s impossible to find a dentist to suit your individual needs. There are many general and pediatric dentists to choose from in Waipahu for your emergency dental needs. If you need specialty dental services, our friendly dentists will refer you to the dental specialist for your unique needs. Description: The dentists at Paloma Dental specialize in both pediatric and general dentistry. For your emergency dental needs, same day appointments are available for your comfort and convenience. Paloma Dental has an orthodontist on site that is experienced in both traditional and Invisalign braces. If your dentist determines that you are in need of further specialized care, a referral to one of your new dentist’s friendly colleagues will be made available on your behalf. Description: The friendly dentists at Aloha Dental Center care about all of your dental needs. This bright and airy dental office has a 24 hour on call emergency dentist and Saturday hours available for your dental emergencies. Aloha Dental Center specializes in crowns, fillings, root canal therapy, and simple tooth extractions. 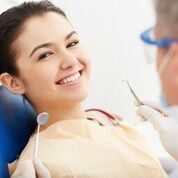 If our dentist determines that you need specialized care, we will be happy to assist you in obtaining a referral to a specialist that’s ready to fulfill your oral health care needs. When visiting a new dentist it’s very important to check your new dentist’s credentials and certifications. You can check your dentist’s credentials at the Hawaii Dental Association website. If you are unable to access the internet, just ask the receptionist at your new dentist’s office for a copy of the dentist’s credentials and certifications, she will be happy to assist you.